SNF ratings are up once again. NFL ratings have increased nearly across the board over the 2018 season, and NBC’s Sunday Night Football package is no exception to the rule. Prior to Week 10, ratings have been up seven times over the past eight weeks. This week made it eight in nine, as the Veterans Day game between the Cowboys and Eagles saw double digit gains over 2017. NBC Sports announced that the game drew a 13.3 overnight rating, up 16 percent over last year’s Week 10 game (Patriots-Broncos, which drew an 11.5). Considering the matchup, this shouldn’t be a surprise. The Cowboys are ratings gold, no matter how what their record may be. Combine their involvement with a matchup against the Eagles, a divisional rival and the reigning Super Bowl champions, and another strong overnight seemed to be in the cards. The top 10 highest rated markets consisted of various Texas cities (and Albuquerque), Philadelphia, New Orleans, Washington DC, and a pair of Virginia markets in Richmond and Norfolk. Next week, NBC has another rivalry game, featuring the Minnesota Vikings and the Chicago Bears in an NFC North clash. Originally, NBC was to broadcast Steelers-Jaguars, but the AFC playoff rematch got flexed out because of Jacksonville’s struggles this season. While the Vikings-Bears matchup will pit the top two teams in the NFC North against one another in a rivalry game, a ratings increase from Week 11 of 2017 could be difficult to imagine. 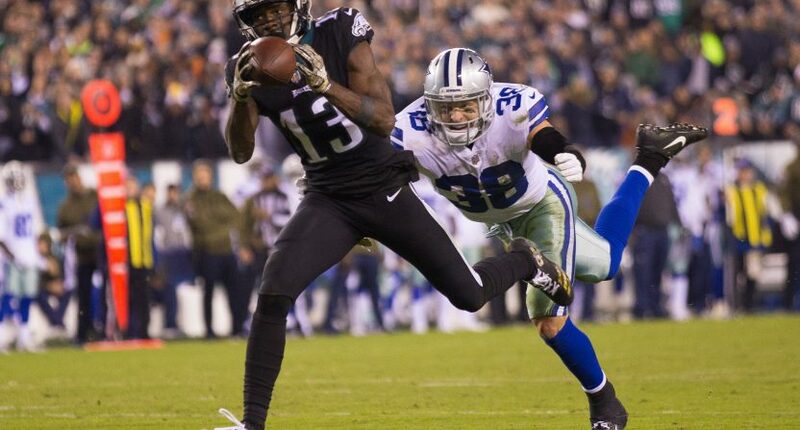 Last year, NBC showed Eagles-Cowboys, and while that ended in a blowout win for the Eagles, it’s still the Cowboys and Eagles, and Sunday showed that matchup is a formidable foe to complete against.